This is the documentation page of the PridMag Pro WordPress Theme. We will try to keep everything well documented. If you are not sure about any particular area of this please use the support forum. If you want to make your site look like the theme demo, this is the section you need to read. Adding a magazine homepage is very easy in PridMag Pro. You don’t have to create a magazine template like in the PridMag Free version. 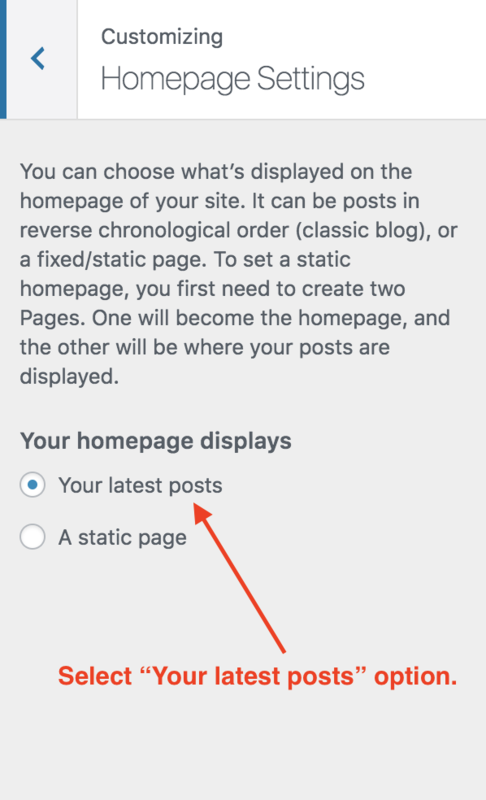 All you need to do is selecting the “Your latest posts” option of the “Your homepage displays” control in the Homepage Settings. Just go to Dashboard > Appearance > Customize > Homepage Settings. Then select the “Your latest posts” option for the “Your homepage displays” control. Then hit the “Publish Button”. Now you need to add Magazine Posts widgets to Magazine Widget areas. To do that please navigate to widgets section of the customizer ( Dashboard > Appearance > Customize > Widgets ). Then start adding widgets. Following two sections describe the widgets and widget areas. There are 7 widgets bundled with the PridMag Pro. TH: Posts Slider – Can be displayed on any sidebar. There are 10 widget areas in PridMag Pro WordPress Theme. 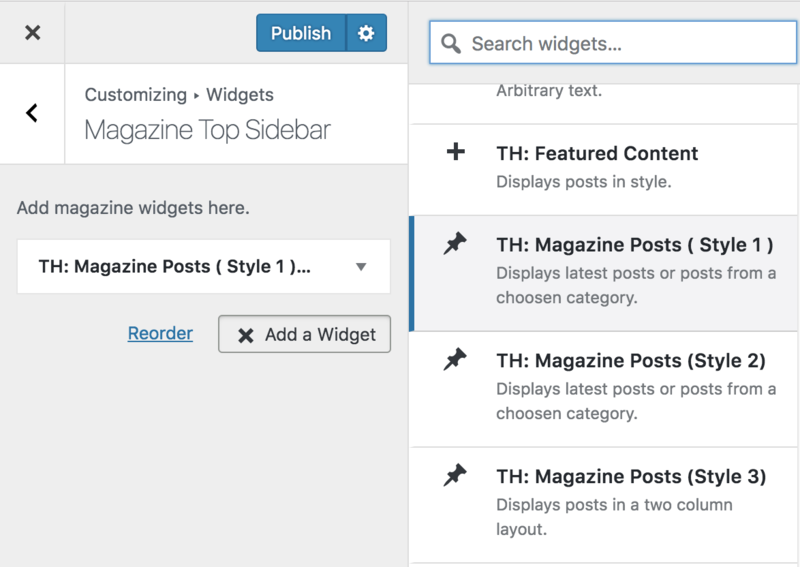 Following image shows widgets and widget areas of PridMag Pro WordPress Theme.